Inventor Start Kit offers free invention help, free inventor help, or free patent and trademark help to assist inventors with the invention process. ISK’s free invention information and inventor information assists and directs you the inventor through the steps in the Invention Process, to record or document your invention, perform product research, perform a preliminary patent search, protect your confidential information with an NDA. Checkout the initial Inventor Discussions tab for invention information on a variety of invention subjects whether a product, process, service, software, website, ecommerce, written material, or setting up a company. Document you Invention: Title, List of parts, List of Advantages, List of Drawings or Pictures, Invention Description and Drawing showing 1) un-assembled parts, 2) assembled parts, and 3) Show the Invention in Use. Perform Product Research: search online, stores, trade shows, and trade magazines for similar or related products/services. Compare the elements or parts of your Invention to the competing products. You need a new elements or parts of your Invention not found in the competing products to proceed. NDA: Before disclosing your Invention to a third party you should enter into a confidentiality agreement under a non-disclosure agreement between Inventor and third-party. Patent Search: perform a preliminary online patent search at Google Patents or USPTO website. Perform keyword searches and compare the elements or parts of your Invention to the competing patents and patent applications. You need a new elements or parts of your Invention not found in the competing patents and patent applications to proceed. 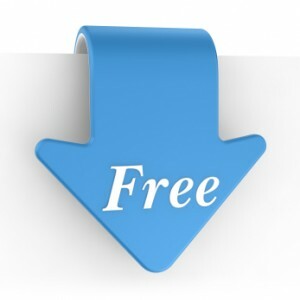 Download your Free Invention Help Now! By Mat Grell US Patent Attorney, Engineer, Inventor & Owner of Inventor Start® Kit. Its where Inventors Start!